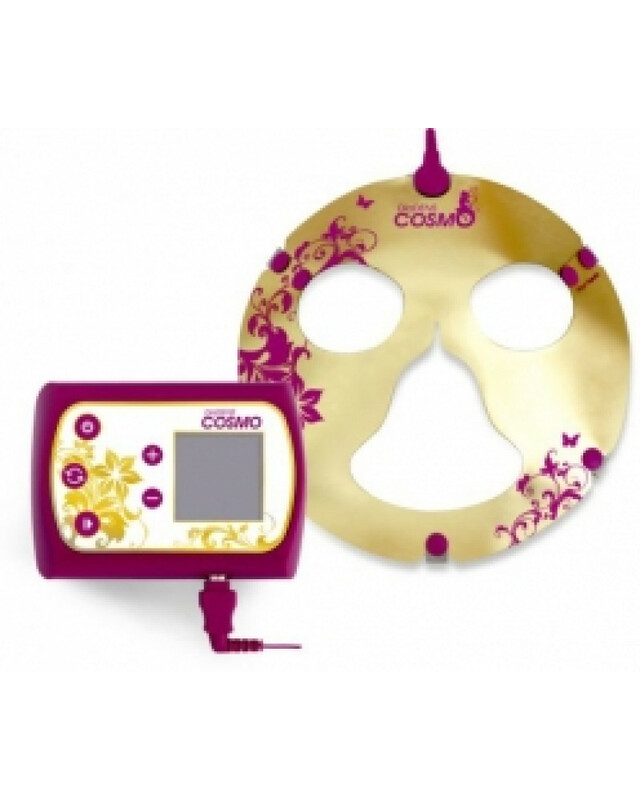 The cosmetology machine, DiaDENS-Cosmo has the potential to improve the condition of the skin and smooth wrinkles without the aid of special operations. 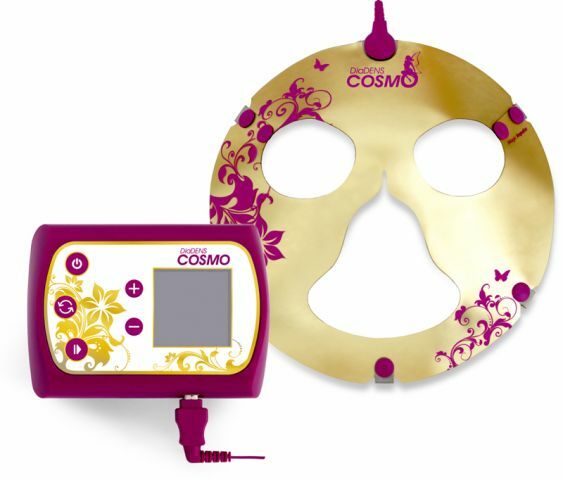 Facial skin treatment by the DiaDENS Cosmo is performed using electric pulses of low power and low frequency. Pulses, acting on the skin, improve blood circulation, increases the excretion of toxins, activates the metabolic processes and as a result, the skin gets a natural, healthy and attractive appearance. The DiaDENS-Cosmo can tighten the eyelid skin, revive density and elasticity of the skin, stimulates muscles to eliminate sagging skin, and stops the process of age-related changes of the skin. In addition, this method eliminates excessive dryness or oiliness, inflammation and other manifestations of problematic skin. Enhances the absorption of active ingredients through the cosmetic masks. Helps the skin to breathe and will keep it smooth and elastic. Can be used for treatment of problematic skin with a cosmetic effects, and for a permanent base of skin care to prevent future problems. The remote instrument, which is placed on the arm. The electrode "Face mask" and connecting wire. 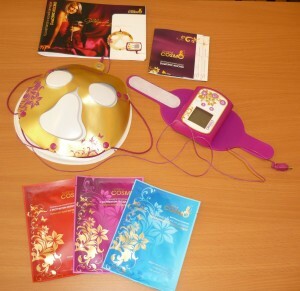 Three packages: 1 with 6 "Moisturizing Masks", 1 package with 1 "Nourishing Mask", and 1 package with 1 "Anti-aging mask". With the DiaDENS-Cosmo, you can work on two schemes. If the skin needs urgent attention with some problems, it is recommended to conduct a course, which includes 1 session a day for 10 days. For maintenance therapy, implying a continuation of care, only one or two sessions per week is needed. There is a visible cosmetic improvement after several treatments. With regular use the treatments protect the skin from premature aging. The DiaDENS-Cosmo does not produce alergic reactions and there are no adverse side effects, so the device can be used at home for a long time. Prevents stagnation of blood and natural oils in the skin cells. Strengthens the tissues and muscles, giving the skin elasticity. It is used for lifting and removal of undesired fluid build up in the facial skin cells. It enhances the absorption of active ingredients of cosmetic masks. In cosmetology, as well as in medicine, the principle is: prevention - the best way to avoid problems. In other words, care for a person should be constant, regardless of age and lifestyle. Such squeamishness is dictated by the fact that the persons face, more than any other parts of the body is exposed to the environment: ultraviolet radiation, dust and other unfavorable factors. Therefore, it needs continued support and protection, and in the first place - moisture, because the lack of moisture in the skin may violate the metabolism and decrease the intensity of the natural recovery process of the skin. In addition, after a certain age, some vitamins and micro elements are necessary. How do you use DiaDENS Cosmo? The procedure is performed on the facial skin that has been cleaned of all cosmetics. Wipe the electrode cuff and electrode mask with a sanitizing wipe. Use a dry cloth or paper towel to remove any remaining moisture. Attach the wire to the mask. Select and open the package with a cosmetic mask. Lightly moisten the skin on the arm where the wrist band is to be attached. Tightly fasten the wrist band on the arm. Put the cosmetic mask on your face and carefully stretch it and press to the face. Attach the wire to the electrode mask and secure the electrode mask over cosmetic mask. The Electrode-mask should not touch the bare skin. Attach the wire from the mask to the wrist band. Turn on the wrist band. Select a program, then press the "Start" button. Choose the power setting using the "+/ -" keys to get a light tingling. The procedure will last 15 minutes. When the procedure is finished, the wrist band will automatically switch itself off. Remove the electrode mask and the cosmetic mask. Disconnect the wire, clean the electrode mask and electrode cuff with a sanitizing napkin. Electronic remote control (attach to arm). cable with connectors for connecting to the electrode mask and remote control attached to the arm.